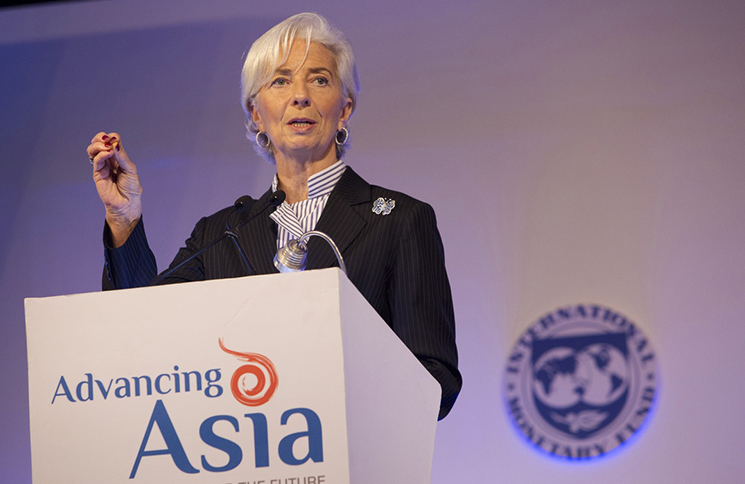 Last weekend, the Indian capital of Delhi played host to a joint conference between the country’s Finance Department and the International Monetary Fund (IMF). The purpose was to examine the current position of India in the world economy and identify ways in which its socioeconomic situation can be improved to keep up with its economic growth. India is one of the world’s fastest growing large economies and has the youngest, most populous workforce. This sole fact would put India streets ahead of any other country in terms of competitiveness. However, India is still a developing nation and faces huge societal problems such as poor corporate governance, rising inequality and an inefficient health care system. Melinda Gates, co-chair of the Bill and Melinda Gates Foundation. 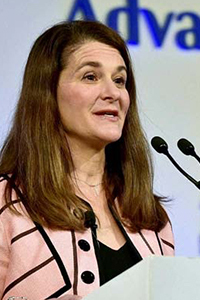 Melinda Gates, co-chair of the Bill and Melinda Gates Foundation, made a speech outlining the foundation’s interest in India’s issues and the foundation’s pledge to help. “Our investments from the philanthropic point of view are focused on the needs in terms of poverty and inequality.” They realize that, although India may have a demographic advantage, economic opportunity must be created for everyone so that the true dynamism of the country can be captured and turned into prosperity for all. As we are now globally interconnected, India is affected by volatile markets and capital flows, drops in commodities and geopolitical conflicts, but is it really as equipped as its more developed counterparts to deal with these issues? At present, India is growing 3 times faster than its advanced neighbours. Nevertheless, this isn’t being translated into returns for the primary and manufacturing sectors because monetary and price policy are incompatible. 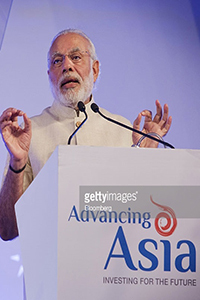 Indian Prime Minister, Narendra Modi. This will mean big concessions for service focused foreign companies, which will create jobs until the country is able to strengthen agriculture and factories. This short term easing of monetary policy will at least mobilise the massive population eligible to work and allow them to internalise all of the opportunities that this global, interconnected market brings. India is at an extremely decisive moment. It has all of the opportunity but also many obstacles. Initiatives such as that put forward by the Bill and Melinda Gates Foundation are essential to begin to fill in the cracks of this fragmented social base. Voices of change like Horyou are important to bring the country into the global conversation. However, most importantly, multilateral cooperation from those in power is needed so that every person has the best chance of being a productive member of their society and the potential of India as a global growth market, is truly harnessed. Sholutions: des solutions innovantes pour les victimes de catastrophes naturelles !